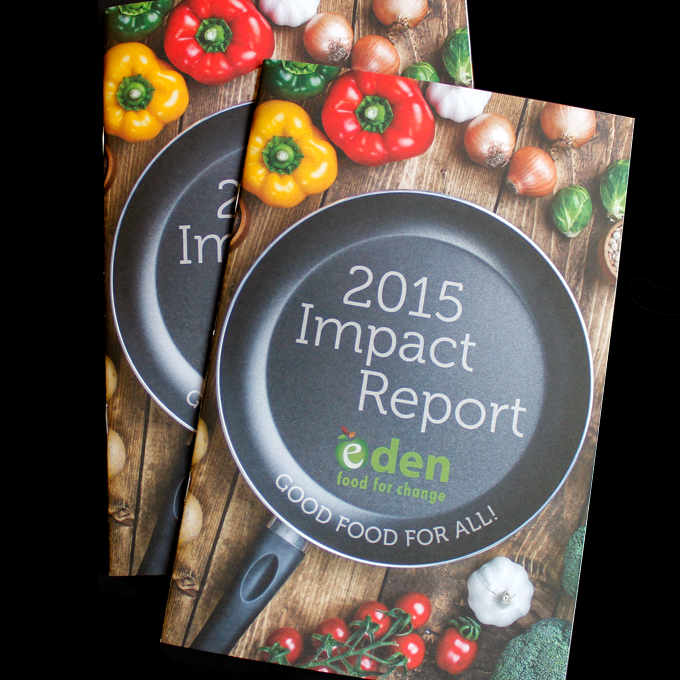 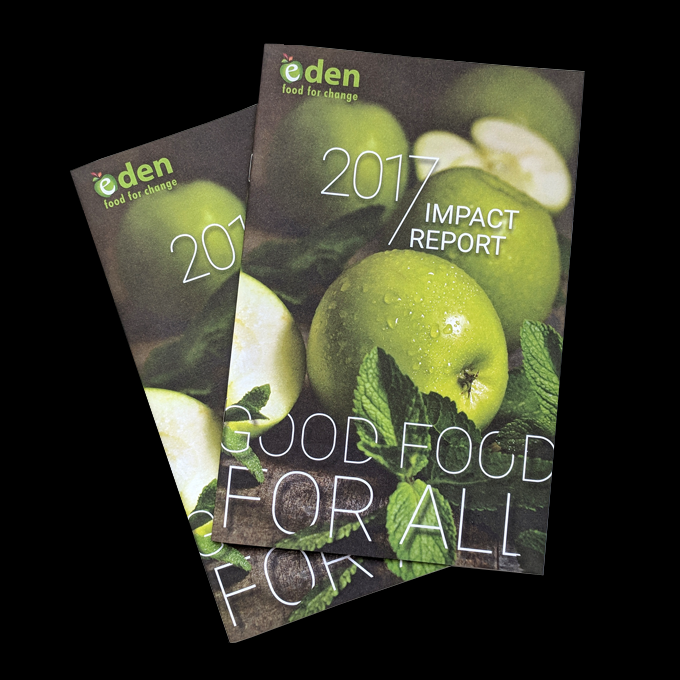 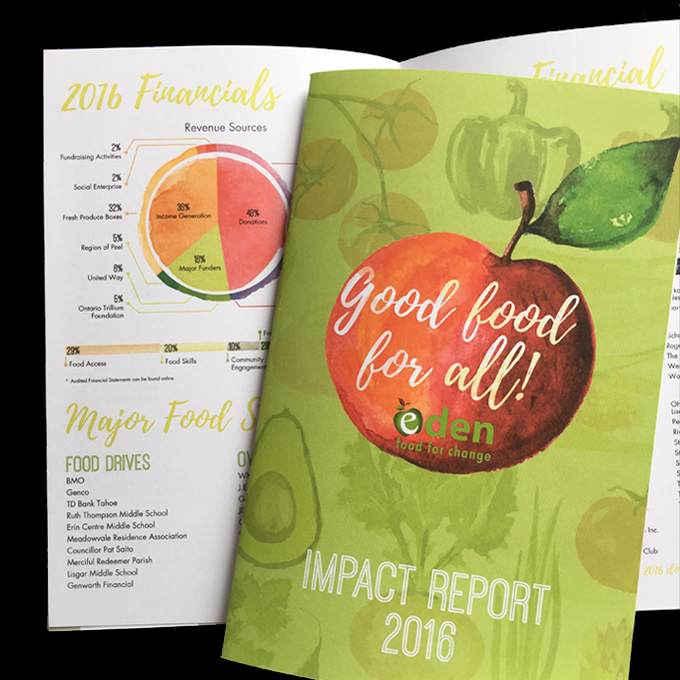 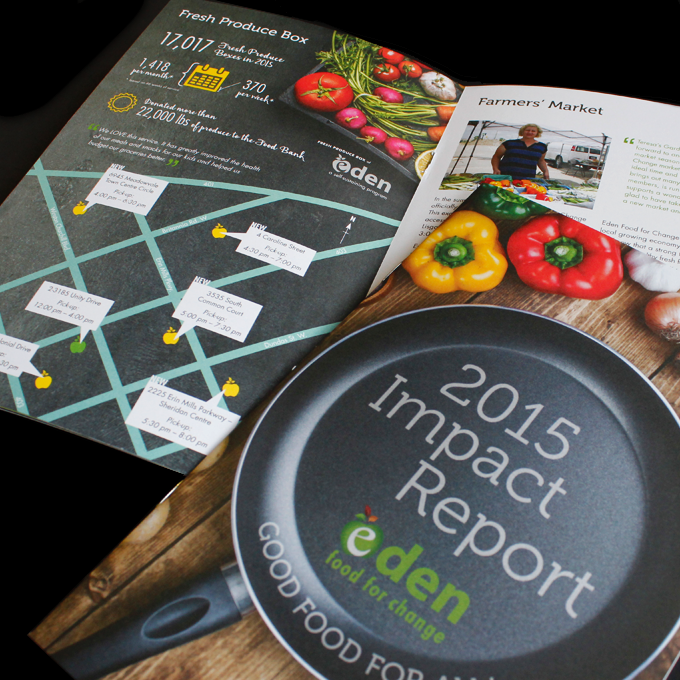 This 16-page Impact Report for Eden Food For Change is our second #BeeGood Program project since we launched it in December 2015. 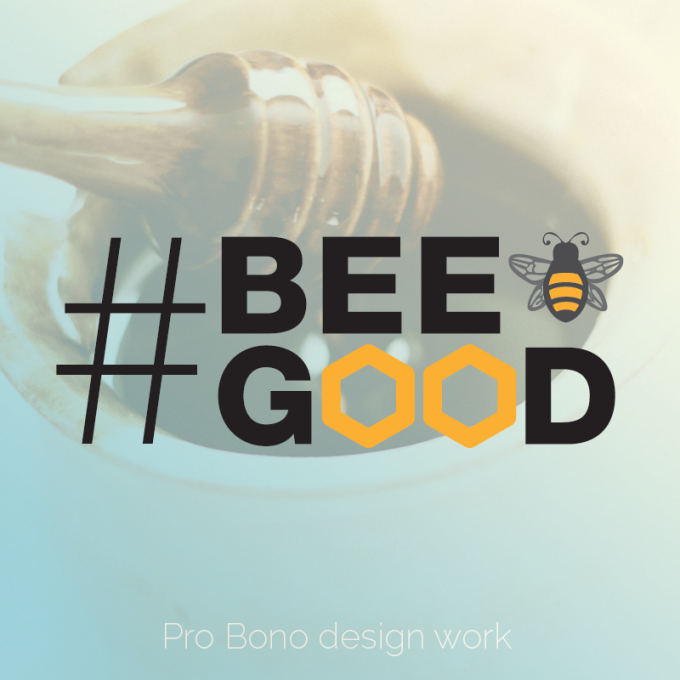 This pro bono project was a labour of love for us, we donated all of our design and production time, along with creating all the illustrations and infographics. 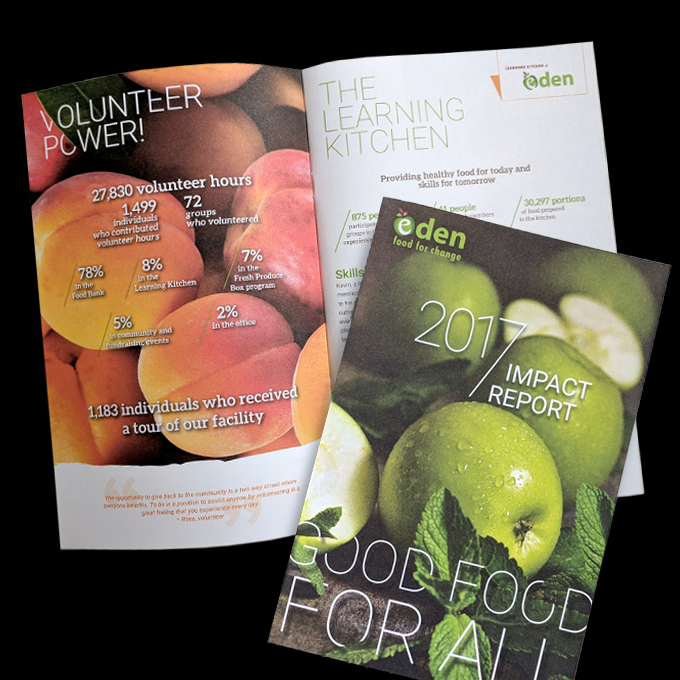 Starting off as a traditional food bank, Eden Food for Change later adopted a community food centre model to better respond to the needs of hungry families in their community, increasing access to good food in a dignified manner, developing food skills to encourage healthy eating and empowering the community through education, outreach and advocacy. 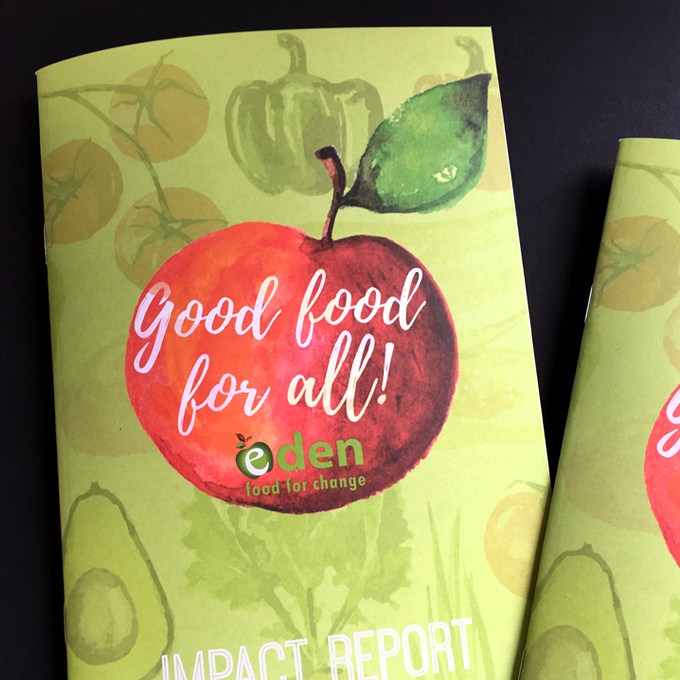 Eden Food for Change has two Food Bank locations, a Learning Kitchen, and a Fresh Produce Box program.